In my autobiography (Oxford University Press, 1989) and in Letters from Mirtola (Bharatiya Vidya Bhavan, 2004) I have recounted in some detail how I came to meet with two of the most remarkable persons I have ever come across in my life-—Sri Krishna Prem and Sri Madhava Ashish. Both were born in Britain but came to India and became Vaishnava sannyasis at the Ashram in Mirtola near Almora founded by Sri Krishna Prem’s guru Shrimati Yashoda Mai. It is quite extraordinary how this guru—shishya combination of Gopalda and Ashishda was able to influence the thinking and action of a small but dedicated group of disciples for half a century, until Sri Madhava Ashish’s passing away in 1997. I carried on a lively correspondence with both of them, interspersed with annual visits to the Ashram, and have immensely benefited there from. Sri Krishna Prem was a brilliant intellectual and taught English at Lucknow University where he met his guru Shrimati Chakravarti who was the wife of the then vice chancellor. He wrote some truly remarkable books including two that, to my mind, are classics—The Yoga of the Bhagavat Gita and The Yoga of the Kathopanishad. Both he and Sri Madhava Ashish worked upon some abstruse texts called the Stanzas of Dzyan, which formed the basis of two books. The first volume, Man the Measure of All Things, carried both their names as co-authors, whereas the sequel, Man, Son of Man, was entirely in the name of Sri Madhava Ashish. Over the years Ashishda began writing extensively on a number of diverse topics, mainly in letters to his disciples but also stand—alone articles on rural development, the environment, agriculture and allied subjects. Over the years his literary output assumed significant proportions and Shri Satish Datt Pandey along with three other disciples have rendered valuable service to spiritual seekers around the world by bringing together an anthology of Sri Madhava Ashish’s writings which they have entitled What Is Man? These writings range eloquently over a wide spectrum of contemporary topics on the difficulties that arise during the spiritual adventure and on a creative interpretation of dreams. Always candid, lucid and often ruthless in his analysis, Sri Madhava Ashish could not accept half-baked ideas or superstitious beliefs. His words went straight to the heart of the reader, always illuminated with his profound wisdom and deep understanding of human psychology. Satish Pandey had earlier come out with a book entitled Guru by Your Bedside which also included writings of Sri Madhava Ashish, but What Is Man? Is by far a more inclusive and comprehensive collection which will stand as a tribute to this remarkable human being. It gives me great personal pleasure to have been asked to write a short foreword for this book which is dedicated ‘In Love and Gratitude’ to Sri Madhava Ashish himself and vicariously to his great guru Sri Krishna Prem. This anthology is representative of what many consider to be the best and most important writings of Sri Madhava Ashish. Born into an aristocratic Scottish family on 23 February 1920 and christened Alexander Phipps, he came to India in 1942 to work as an aircraft engineer. At the end of the Second World. War, he chose to stay on in India and, helped by ‘the combined powers of Self and circumstance’, was initiated into the spiritual path. His transformation into Sri Madhava Ashish, a Hindu monk of the Vaishnav order, is a fascinating and inspiring story. 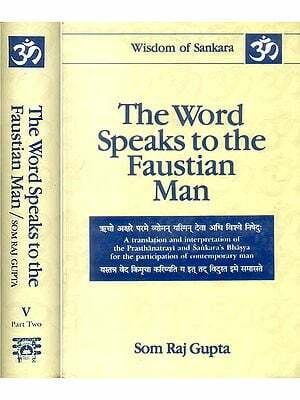 The opening chapter of this book gives some idea of what happened during that defining period of his life in a Himalayan ashram. There under the tutelage of his guru Sri Krishna Prem, he strived and attained and, after his guru’s passing away, guided a growing number of seekers. Part Two contains essays that are, broadly, about the ‘path’ of spiritual striving that he had trod and of which ‘he knew every inch of the way’. They point out how, wiser by his own experience of following the strict regimen of an orthodox system of work, he could devise and indicate an approach more suitable to contemporary times——an approach that answers the question, ‘What is it all about?’, which inevitably confronts every thinking person in one form or another. The pashyanti vak (‘seeing speech’) quality of Sri Madhava Ashish’s perceptions—which developed and sharpened during his work as a pilgrim and guide on the path—is particularly reflected in the essays that form Part Three of this anthology, ‘The Inner Inquiry’. Besides discussing the most enduring problem of all spiritual seekers-‘I am attracted to the spiritual path, but what should I do?’—•they examine the real issues of the spiritual life and the practical matters of dealing with subjects as diverse as the transformation of a corrupt national ethos and the use of dreams for self—knowledge. Sri Krishna Prem and Sri Madhava Ashish devoted many years of their lives to a profound study of the utterly abstruse Stanzas of Dzyan that are part of H.P. Blavatsky’s monumental work, The Secret Doctrine. The result of that extraordinary effort is available in the form of their two books: Man the Measure of All Things, a commentary on the Stanzas dealing with cosmogenesis, and the second, Man, Son of Man, dealing with the advent and evolution of man- anthropogenesis. The latter is the crown jewel of Sri Madhava Ashish’s work and thought. Four chapters from this constitute the main section of Part Four of this volume. They deal with the basic doctrine that is the bedrock of his own work and teaching: ‘Unity of Being’ based on the fact, and realization, of a common unitary Source, a ‘No-Thing’, that has ‘become’, not ‘created’, everything from sticks and stones to man, while still remaining—mysteriously—what it essentially is. This is no cultist interpretation of sacred scripture but a true decoding of hidden wisdom with the help of both intelligent inquiry and occult inspiration. Interpretation of terms that are difficult to understand, like ‘Serpents’ (as Masters of Wisdom) and ‘Fifth Race’ (as self-conscious human beings capable of attaining ‘objective consciousness’) are examples of such an intuitive and perceptive approach. The Appendix contains the relevant Stanzas, to facilitate uninterrupted reading of this free and unorthodox commentary. The essay on H.P. Blavatsky’s The Secret Doctrine is also included in Part Four. Besides books and articles, Sri Madhava Ashish wrote innumerable letters to friends and followers seeking his guidance. Extracts from these pertaining to general and trans- personal issues and philosophical concepts concerning spirituality would have made a useful addition to this book. Unfortunately, it has not yet been possible to gain access to an adequate number from their lucky recipients. However, in one of his letters to a friend Sri Madhava Ashish wrote: ‘Give me all the teachings about man and the universe and I will accept them only if I can be shown one man who embodies and validates these teachings. One follows the teachings back to their source in the man whose truth affirms the truth of the teachings. It is hoped that in spite of the inadequacies of our effort in selecting and compiling them here, these writings of Sri Madhava Ashish will be of interest and help to those who are interested in the theory and practice of how to lead a meaningful life. To him is offered, in love and gratitude, some of what was given by him. For anyone who has wondered ‘What is life all about? Why are we born? And does it all just end with death?’ the essays in this anthology provide profound answers. The author, Sri Madhava Ashish, was for many years the head of a remote and rather unconventional ashram in the Himalayan foothills of northern India. The ashram drew visitors from India and all over the world-people driven by just such questions about ultimate meaning and purpose. The distilled teaching that Ashishda, as he was fondly known, offered freely and that forms the core of these essays is intensely relevant to our lives today. it has little to do with conventional religions, but can be called secular spirituality. It points out the folly of viewing the cosmos in material terms alone, encouraging us to open our minds and see that our lives are not restricted to the closed box of purely physical existence.